Perhaps the most important thing to know about drunk driving accidents is that they are 100% preventable. That may also be the saddest thing since it means that the victims didn’t need to be injured or didn’t need to die too soon. DUI accidents with child victims are particularly tragic because children pay the price for an adult’s bad decision. As a Santa Rosa child injury lawyer, Greg Brod helps represent injured children, whether they were in the car with the drunk driver, in another vehicle, or simply in the wrong place at the wrong time. Earlier this week, The Press Democrat reported on a crash believed to have been caused by a drunk driver in Santa Rosa. Police say that they arrested an intoxicated man after he crashed his car on West Third Street on Monday night. His vehicle ended up on a residential lawn near Surrey Drive. The suspected drunk driver had two children, ages 10 and 11, in his vehicle. Both children along with the driver of another vehicle involved in the accident were taken to the hospital for medical care. All are expected to be okay. Mothers Against Drunk Driving (“MADD”) cites federal statistics that say 1,149 children aged 14 years and younger died in motor vehicle traffic crashes in 2013. Two hundred of these deaths (17%) occurred in crashes that involved a driver who had a blood alcohol level over the legal limit (.08). Of those 200 children, MADD reports that 61% (121) were in the vehicle with an impaired driver and 15% (29) were pedestrians or bicyclists hit by an impaired driver. 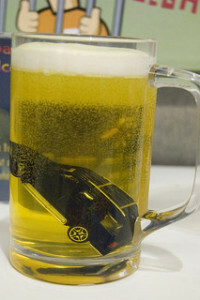 California law takes drunk driving very seriously. Although our office practices in the civil courts, the criminal statutes can still be informative and demonstrate just how serious the state is about drunk driving. Vehicle Code 23572 provides an automatic penalty enhancement for any driver convicted of misdemeanor DUI who had a child under age 14 in the car at the time of the arrest. Courts have also used Penal Code 273(a) to charge drivers with child endangerment for impaired driving with a child under age 18 in the vehicle. Child endangerment charges are very serious and can be filed in addition to drunk driving charges (with or without the enhancement depending on the child’s age). If you are the parent of a child who has been injured or tragically killed because of a drunk driver, we know you have questions. This is true when the drunk driver was a stranger and perhaps even more true when it was someone you know such as a former spouse, a caretaker, or another trusted adult. We cannot answer the pressing question of “Why?” but we can help with the questions “What happens now?” and “Who will fight for my child?”. Call to speak with our experienced drunk driving lawyer in Santa Rosa, Oakland, San Francisco, or another Northern California location convenient for you. Our team can help you get compensation and begin the process of moving forward from a terrible tragedy.